Customers today expect their customer service to be as connected as they are. 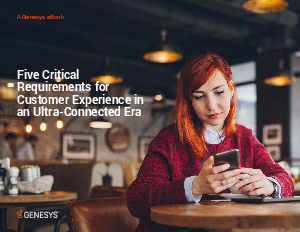 If you can’t deliver a seamless omnichannel customer experience or easily add digital channels such as mobile, social media and web, you risk being left behind. Some companies try to deliver omnichannel with dated technology, a tangle of point solutions, bolted together with duct tape. But you don’t have to.